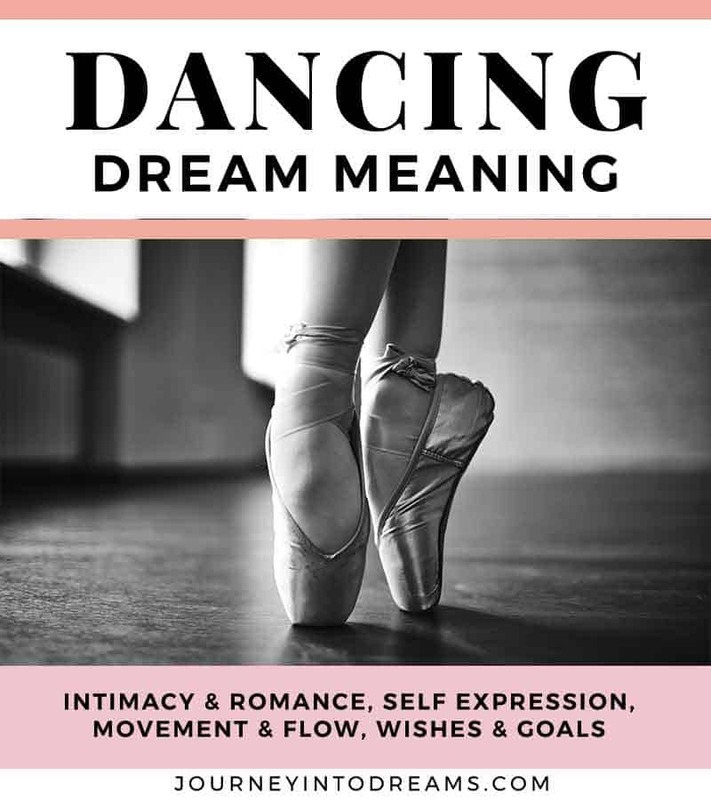 A dream about dancing or going to a dance - whether a formal ball or a night club, can have many different meanings depending on the dreamer. A dream dance can have many different meanings, depending on the nature of the dance and its context. What Does It Mean to Dream About Dancing? Dancing is a form of self-expression. It can be very powerful in stimulating your body and mind. With dancing, it's all about movement, sound of the music and you. Dancing with another person can be a very intimate activity. Dancing can be a symbol for your desire for romance. This is a common dream symbol when we are in a new relationship with someone, or have met someone we are considering to have a relationship with - it could signify that you hope things will progress in the relationship. Dancing in a dream can also be a symbol of freedom. It can be a way to express your feelings of being free and liberated. You may feel comfortable in expressing your own feelings or doing things in life that make you happy. Often times in life we feel like things turn stagnant. We might feel like things are not really changing or going anywhere. Dreaming of dancing can often be a sign that you desire some movement or a type of change from the boring old routine in your life. Many times we can look at the type of dance to understand more about what the dream meaning might be. Ballet Dancing: Ballet is a very graceful dance. In a dream, ballet could mean handling a struggle in life with grace and finesse. Ballet can also be a symbol for wishes and aspirations, especially if you were ever a person who wanted to be a ballerina as a child. Ballet could be a sign of imagination and self-expression. Waltzing: You may feel as if you are able to get through a challenge easily. There are not many obstacles. This can be a symbol of feeling confident at work or other situation in your life. Tap Dancing: Tap dancing can be a sign that you are looking to find a rhythm and routine in your life. You may be trying to get someone's attention, or something may be trying to get your attention. Salsa Dancing: You may be looking to "spice" things up in your life. You may be tired of the same mundane activities all the time - it may be time to look for something new. This could also be related to how you feel about your current relationship with a romantic partner. What would help you feel more excited about the relationship? What type of music was playing? Often times the song lyrics or type of music can have some meaning. For example, if you are listening to classic rock, it could be a sign of something in the past. This is very different than if you were listening to electronic technic music in a night club! Who else was in the dream? Most likely if you dream of dancing, someone else was in the dream. It's important to think of the people in our dreams as actors playing the role of a character in a dream. See meaning of people in dreams and people in dreams as an aspect of self for more details. Where Did the Dream Take Place? Different places and settings of the dream can also provide more clues on what this dream is about. Were you dancing in an arena? In a city? Did you drive to get to the dance? All these little subtle details can provide a lot more insight on what this dream means! Did you have a dream about dancing? Share your experiences in the comments section below!